Home / SkinCare / Laidbare Working 9 to 5 Anti-ageing Hydration Cream. 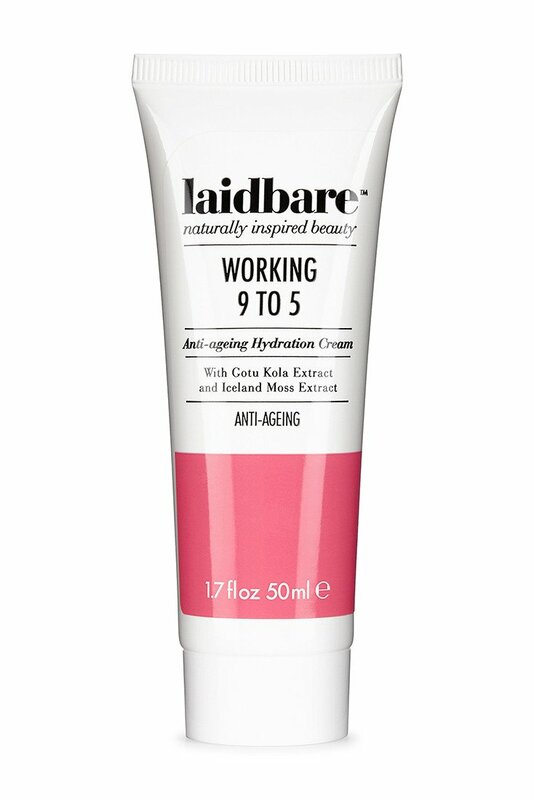 Laidbare Working 9 to 5 Anti-ageing Hydration Cream. The Laidbare working 9 to 5 anti-ageing hydration cream moisturises and protects your skin around the clock once applied. Laidbare select specific natural ingredients so all their products are full of super rich skin nutrients. The working 9 to 5 anti-ageing hydration cream contains extracts of rose water to calm, revitalise and soften skin. Anti-ageing Iceland moss helps combat fine lines and wrinkles whilst Gotu kola works by stimulating collagen production. Looking for any hydration cream you will expect your product to contain the water attracting Hyaluronic acid, Featured in the working 9 to 5 hydration cream is Cassis Angustifolia Seed Polysaccharide a natural version of Hyaluronic acid that boosts moisture levels revealing plumped and youthful skin. You can be assured there are no added synthetic or damaging ingredients in any of the Laidbare products in the range, letting you and your skin enjoy these skincare products long term. Laidbare are firmly against animal testing, offering a skincare range suitable for all skin types to benefit from and see results. You will find there is no; Petrochemicals, Sulfates, Parabens, Synthetic Fragrance, Synthetic Colours, TEA, DEA, Glycols. AQUA (WATER), ROSA DAMASCENA (ROSE) FLOWER WATER, CAPRYLIC/CAPRIC TRIGLYCERIDE (COCONUT), GLYCERIN (COCONUT), ISOPROPYL MYRISTATE (PALM OIL), CETEARYL ALCOHOL (PALM KERNAL OIL), ALOE BARBADENSIS (ALOE VERA) LEAF JUICE, CASSIA ANGUSTIFOLIA SEED POLYSACCHARIDE (SENNA PLANT), PRUNUS PERSICA (PEACH) KERNAL OIL, CETEARYL GLUCOSIDE (SUGAR), GLYCERYL STEARATE (PALM KERNAL), DEHYDROACETIC ACID, BENZYL ALCOHOL (NATURALLY DERIVED PRESERVATIVE), CENTELLA ASIATICA (GOTU KOLA) EXTRACT, CETRARIA ISLANDICA (ICELAND MOSS) EXTRACT, XANTHAN GUM (NATURALLY DERIVED THICKENER), POTASSIUM SORBATE (NATURALLY DERIVED PRESERVATIVE), SODIUM BENZOATE (NATURALLY DERIVED PRESERVATIVE). 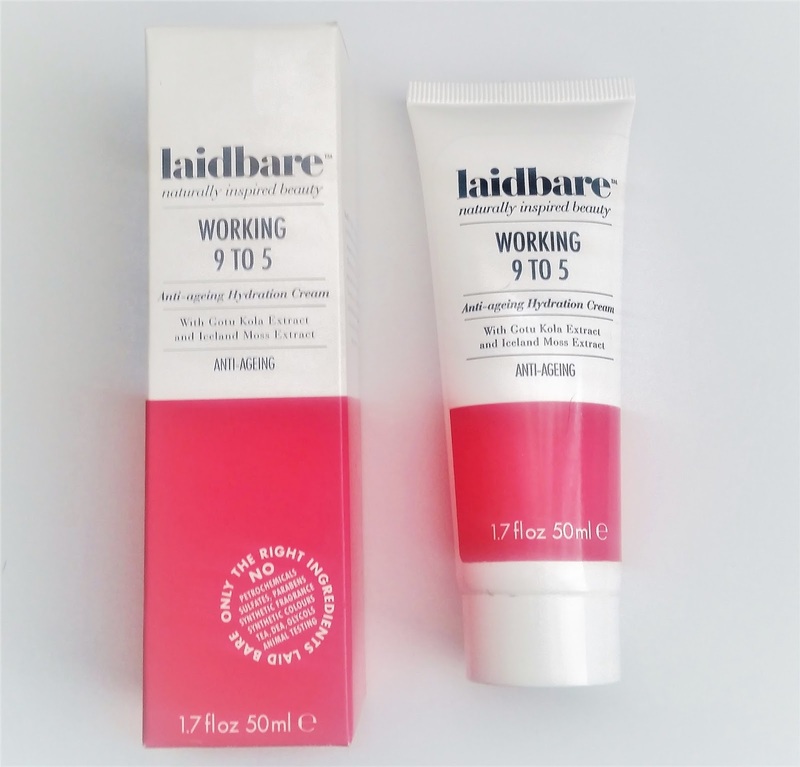 The Laidbare Working 9 to 5 Anti-ageing Hydration Cream is situated in a tube, which i really like when dispensing the product on my fingertips to then apply to my face. White in colour, the cream feels light in texture helping it glide over skin with ease before absorbing immediately. I was really impressed on how my skin felt moisturised throughout the day, whilst transforming skin to a healthier appearance with an added glow each time its applied. You only need a little of the hydrating cream when applying and the sensual rose flower water is the natural faint scent you will detect. Apply the Laidbare Working 9 to 5 Anti-ageing Hydration Cream after cleansing, both morning and evening for hydrated and protected skin. 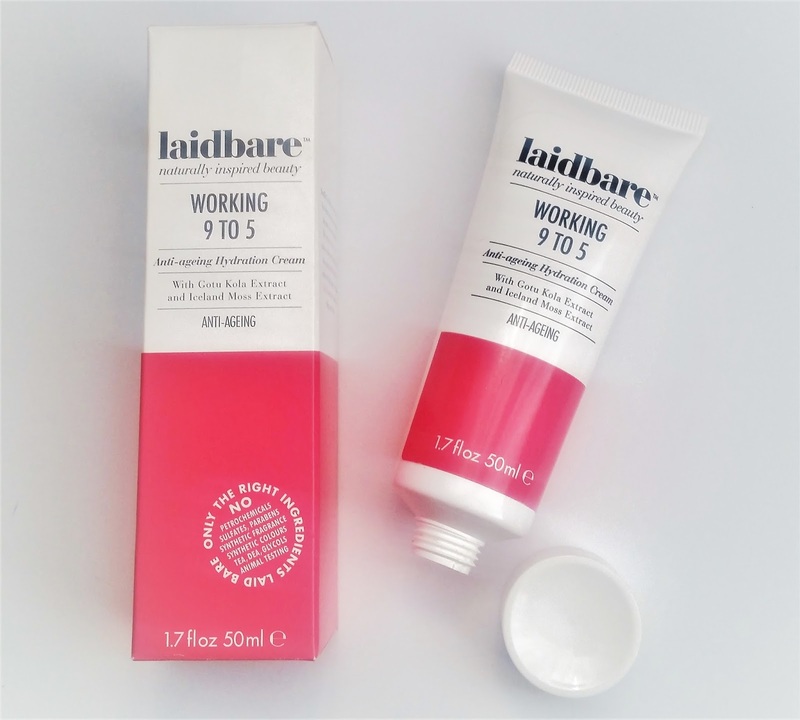 Pick up your Laidbare Working 9 to 5 Anti-ageing Hydration Cream at ManOrganic. X Neil.